Ban Chinese goods: Can India do to China what China does to other countries? Last year, Commerce Minister Nirmala Sitharaman while answering a question in the Rajya Sabha made it clear that it was not possible for India to put a 'blanket ban' on Chinese products due to WTO rules. As the stand-off between India and China continues on the border of north-eastern state Sikkim, social media is abuzz with the demand of boycotting Chinese-made products . It is believed that by boycotting Chinese goods, India can put pressure - economically - on China. And the belief is not entirely wrong as India in the latest financial year imported Chinese goods worth over USD 60 billion. This is the second time in just two year's time when calls for banning Chinese products are picking up on the social media. Last time when such demands were made the situation was different and India was looking for China's support to get Pakistan based Jaish-e-Mohammed chief Masood Azhar designated as terrorist by the United Nations. China refused to accept Azhar as terrorist as it was not convinced - on technical point - by India's argument. China's double standard irked many Indians who later demanded India to teach China a lesson by cutting down the import. This time India is in a direct face-off with China. Whatever be the nature of conflict with China, people of the country have always reacted almost in a same way and demanded immediate ban of Chinese goods. However, social media campaign failed to elicit any response from the government. And, it is highly unlikely that the government would react on such demands as last year Commerce Minister Nirmala Sitharaman while answering a question in the Rajya Sabha made it clear that it was not possible for India to put a 'blanket ban' on Chinese products due to WTO rules. When faced with barrage of questions on the demand from the reporters, Sitharaman further said: "Just because we may not like certain things about a country is not reason enough to block imports from that country. We could impose anti-dumping duties, but there are established ways to go about it and dumping has to be proved." 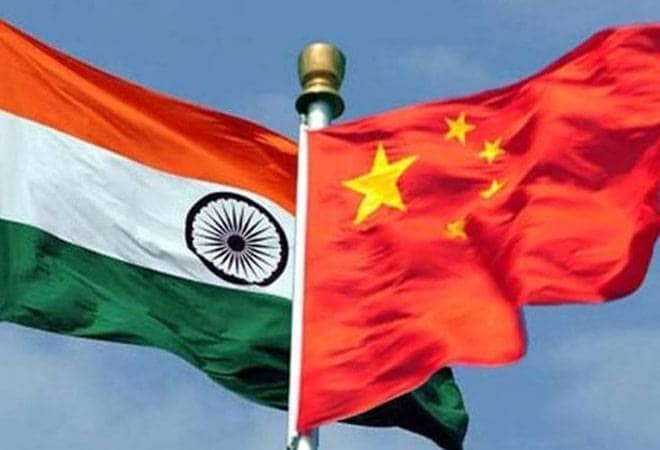 While the government thinks that it cannot ban the Chinese products because of World Trade Organization or WTO guidelines, well known Geostrategist and Professor of strategic studies at CPR Brahma Chellaney says that it is time that India should use its most powerful weapon against China which is - Trade. When Business Today - Digital asked Brahma Chellaney that government is bound by WTO regulations, he said if Beijing can punish South Korea and Mongolia why can't New Delhi. China banned South Korean cosmetics and retail giant Lotte: It was reported that when South Korea deployed the United States' Terminal High Altitude Area Defense or THAAD missile system, Beijing slapped a ban on Korean cosmetics and asked Chinese tour groups not to visit South Korea. China also banned South Korean retail giant Lotte from operating in the country to put pressure on Seoul. It wanted South Korea to abandon the THAAD system which it considered as a threat to its national security. However, China never acknowledged the bans on tourism but tour operators reportedly informed about how the Chinese government put the pressure on them. China banned Norwegian salmon fish import: China also banned Norwegian salmon fish exports in 2010. The move came after Oslo-based Nobel Committee awarded the 2010 Peace Prize to the Chinese dissident Liu Xiaobo. The Independent reported that after the ban sales of fresh salmon dropped by 61.8 per cent. Norway opposed the ban and threatened to approach WTO but nothing happened. Finally, Oslo had to pledge that it would commit to the 'one-China policy and respect for China's territorial integrity'. China blocked Mongolian Trucks after Dalai Lama visit: It was December 2016, when Mongolia became the next country to face the Chinese wrath. Beijing punished Mongolia for its welcome to Tibetan spiritual leader Dalai Lama who visited the country despite China's repeated warnings. China blocked hundreds of Mongolian trucks carrying coal from crossing the Chinese border. Al Jazeera correspondent Adrian Brown wrote: "In a sense, Mongolia is paying a very heavy economic price for putting religious freedom ahead of economic necessity." Go by Chinese playbook: Professor Brahma Chellaney in his article suggested that India should use trade as a political weapon against China. He said: "Beijing's annual trade surplus with India is large enough for it to finance one China-Pakistan Economic Corridor (CPEC) every calendar year and still have a few billion dollars to spare. India's most powerful weapon against China is trade. Given China's proclivity to deploy trade as a political weapon, as against South Korea in the latest case, why doesn't India take a page out of the Chinese playbook?" Should Prime Minister Modi follow Donald Trump on trade defecit with China? Professor Chellaneyreferred to US President Donald Trump's latest attempt of how he was trying to narrow the trade deficit with India. Chellaney argued: "Modi, for example, has allowed China's trade surplus with India to double on his watch to almost $60 billion. By comparison, India's trade surplus with the US is about half of that, yet Trump wants urgent Indian action to balance the two-way trade."